Many classic car owners want their car to look exactly as it did the day it rolled off the assembly line. That means everything has to be original as it left the factory. If you really want the old-school look, it has to be bias-ply tires. A bias ply tire has layered belts of either polyester, fiberglass, or steel, running at angles to each other and to the body of the tire. These body ply cords extend diagonally from bead to bead, usually at angles in the range of 30 to 40 degrees. In comparison, radial-ply tires have belts at a 90-degree angle to the tire, and the belts overlap rather than cross each other. Some old car enthusiasts prefer the way their car rides on bias-ply tires. They also have extra load-carrying capability. Bias-ply tires carry more weight than a radial, but at the price of faster wear. The tread contact area is smaller on bias-plies, so cornering capabilities are inferior to radials. The cords inside a radial tire run at a 90 degree angle to the direction of travel, compared to a 32 degree angle on a bias-ply tire. The radial design flexes more, giving better ground contact and traction. A bias-ply tire will "follow" ruts and grooves in the road, while radial tires will roll across them. Radials also run cooler and give a smoother, more comfortable ride. Other disadvantages of bias-ply tires are increased rolling resistance and less control and traction at higher speeds. If you're looking for improved handling, radials are the way to go, but keep in mind that putting on a set of high performance, latest technology tires will bring out every weakness in your suspension. Many classic cars from the sixties had 14" or 15" wheels. Most major tire companies have phased out many of these automotive tire sizes, so your choice will be slim-to-none in finding a quality radial. 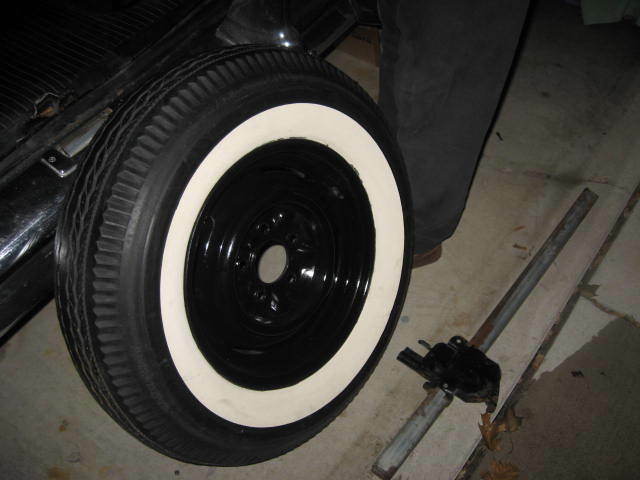 Radial tires were never offered with original redline, double whitewall or small raised-white letters. However, several aftermarket tire suppliers have purchased the original molds from manufacturers, and offer reproductions of the these in bias-ply. How Can I Tell If My Tires Are Radial or Bias-Ply? 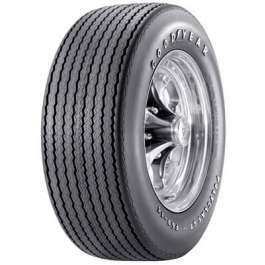 A radial tire will have the word "radial" on the sidewall. A tire not marked "radial" is a bias-ply. For pre-WW2 cars designed to run on bias-ply tires, it may not be a good idea to switch to radials without major suspension upgrades. If your vintage car has its original suspension, radial tires may give unfavorable handling and ride quality. Some classic car owners enjoy the best of both worlds, having a set of radial tires to drive around on, and a set of original reproductions for car shows. Since 2013, Diamond Back Classics has offered bias look radial tires. 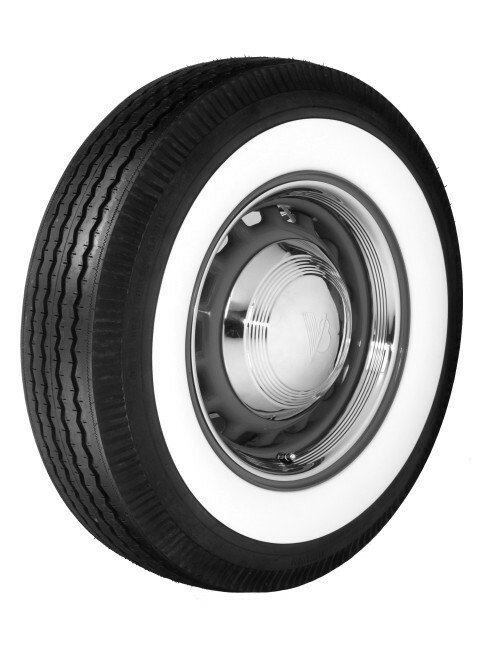 Called the Auburn Deluxe radial, they offer the driving quality of a radial, but the looks of a bias-ply tire. 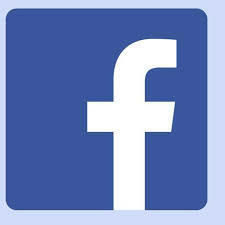 Presently five 16-inch sizes, and five 15-inch sizes are available, with more sizes to follow. Now the classic car owner can have a radial that looks like a bias-ply.